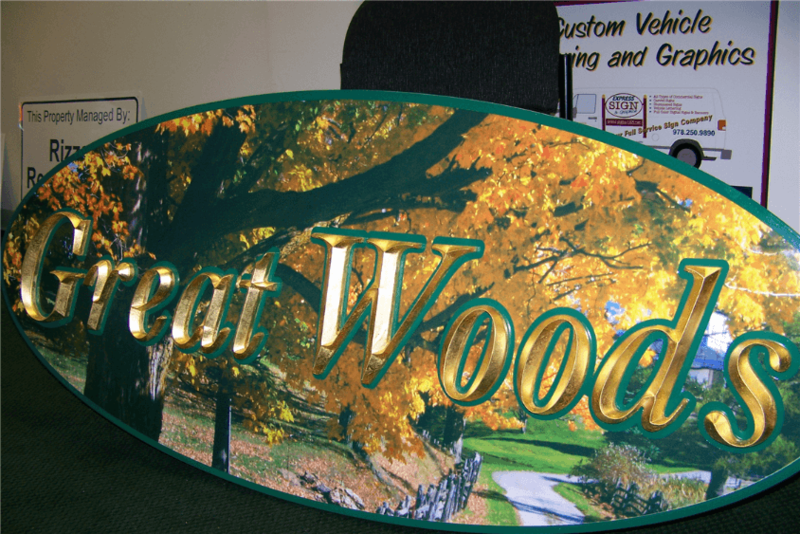 When purchasing a Custom Carved Signs, many of our customers ask us about the difference between High Density Urethane (HDU) and Wood Signs. 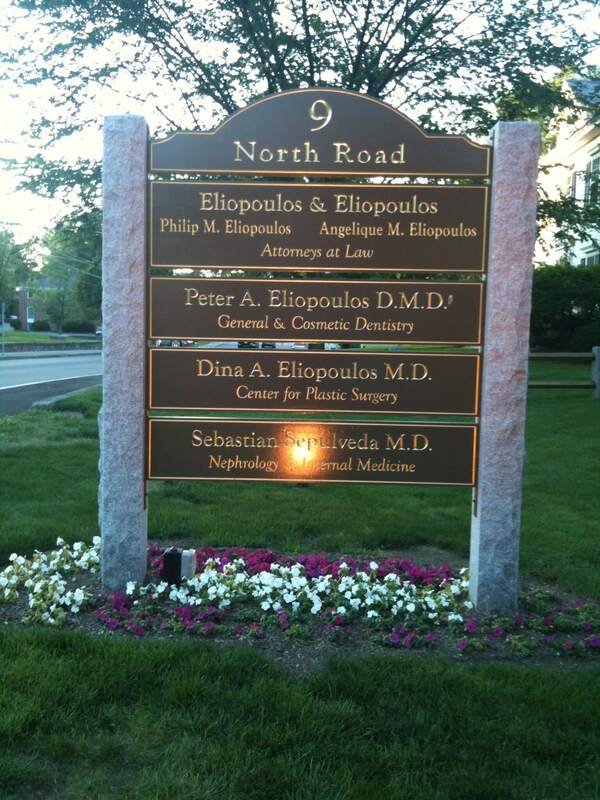 Below is a quick outline of the specifications and features of each type of carved sign. Example of a HDU Dimensional Sign. This is a two piece sign with circle shape with V-Groove Letters, hand painted elements, a raised elk logo in 23K Gold Leaf. Letter also are Gold Leafed. 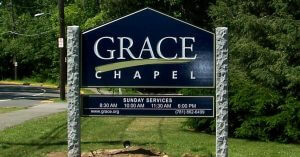 HDU can be use for creating beautiful, lasting logos, V-groove CNC routed signs, dimensional and custom sandblasted signs. SignFoam is one name brand for High Density Urethane and is specially formulated to not warp, peel, or crack and is 100% waterproof unlike wood. SignFoam HDU will not rot like wood and is made in the USA. Unlike wood, HDU is available in thicknesses from 1/2″ up to 12″ thick. This is useful for creating large detailed dimensional projects such as artificial brick or granite posts. HDU comes in three densities, 10, 15 lbs. and 18 lbs. HDU can be sandblasted or hand carved in a variety of background finishes such as pebble, woodgrain, faux stone, and much more. High Density Urethane can also be smooth routed to create raised letters rather than V-Grooved in letters if you prefer. The process of routing out the background to a smooth finish takes longer and can add to the cost of your sign. 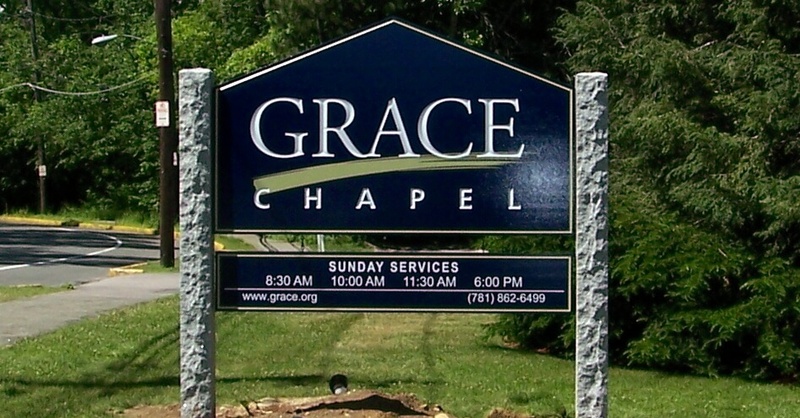 Commonly 1.5″ thick HDU is used for single sided signs and 2″ thick for double sided signs. Many types of wood can be used for carved wood signs. Most commonly, we use redwood or cedar as it offers the clearest, hardest wood available for carving and sandblasting. 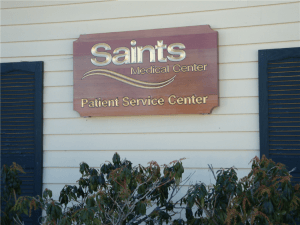 Wood signs are offered in 1″ and 1.5″ thick and can be single or double sided. For larger signs or signs with a lot of lettering or graphics, often we use two back to back signs mounted on a custom bracket. This is to ensure that not too much material is taken away from the sign panel leaving it susceptible to breakage. It is difficult to find larger trees that allow for single large pieces of wood substrate so therefore, wood planks and boards are made using strips of wood assemble using biscuits, dowels and marine grade epoxy glue to create the size board needed. Each piece of wood is unique therefore each wood sign is unique. Wood can be painted, varnished exposing the grains, or stained. When staining, you must keep in mind that grains, knots and other features of the wood will be visible. If you don’t like this or don’t want to see these features, painting or using HDU is a better option for you. 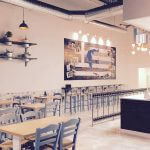 Wood has some features such as strength on longer narrower signs between posts, however, due to the manufacturing process for making larger planks, you must be aware that there can be issues with your sign in the future. Wood has a tendency to crack or warp as it is a natural material that can take on moisture. Also because larger size substrates are actually made up of smaller planks, you may see visible seems in the sign panel over time. Wood can be effected by termites or carpenter ants. Wood can rot over time. 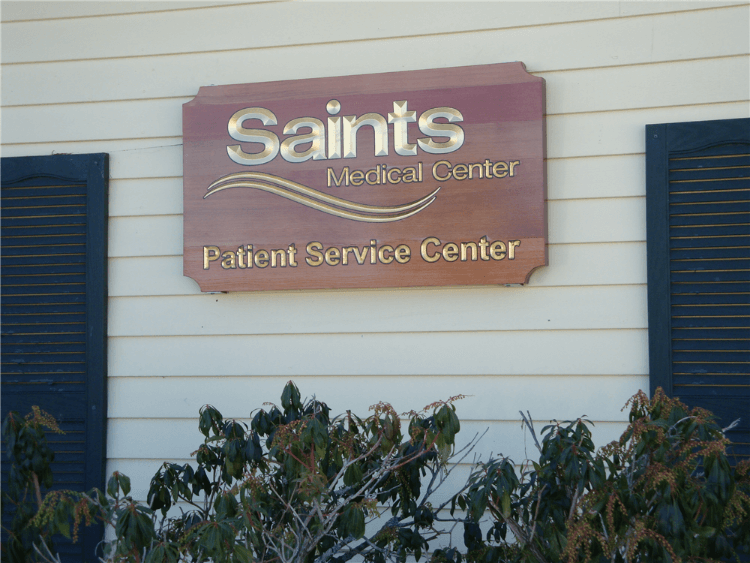 Inconsistencies such as knots and grain can affect the overall look of your sign. HDU can be used for long narrow signs, but it is recommended that a MDO or metal backer panel be used for added support to prevent warping or breaking. HDU cannot be stained so it is not useful where the natural appearance of wood grain is required. HDU is not a natural product so in essence is it not green, however, as it is made in the US and reduces deforestation, it does has some benefits. Both products can be easily v-grooved or routed. With wood you have to take care to avoid knots whereas with HDU, the material is consistently clear. 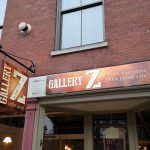 Both wood and HDU signs can be gold leafed, painted, stacked for dimensional type signs, mounted on walls or between posts with the appropriate hardware. Each material offers it’s own features and benefits. 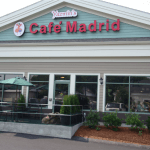 At Express Sign & Graphics, we work with the customer to review each sign project and consider the finish of the sign (i.e. painted vs. stained), the amount of dimension or thickness needed for the project, the number of dimensions needed (2-D, 3-D), and the installation of the sign to select the right product for the job. 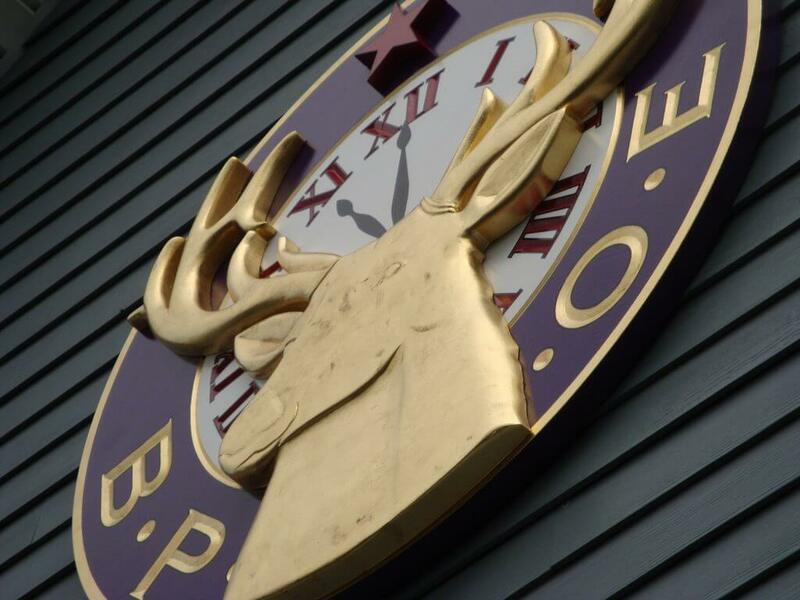 Contact us today at 978-250-9890 or 1-877-SIGN123 and we’ll be happy to provide you with a quote and our recommendations for your carved or dimensional sign.